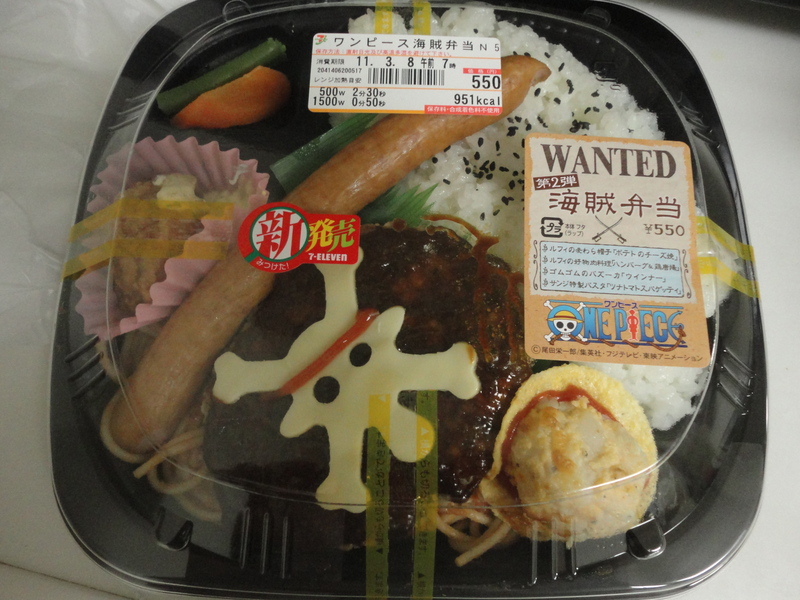 One Piece is crazy popular in Japan. I’ve never been into the show or manga myself, but this country is nuts over it. I see the One Piece flag flying everywhere, especially in truckers’ cabs. I’ve even seen One Piece socks at Don Quixote (one of my favorite places to shop). One Piece paraphernalia reside in UFO catchers in most arcades. Almost makes me want to watch or read the series. I would even go so far as to say it’s as popular as Evangelion, which seems to be the most favorite anime in Japan.